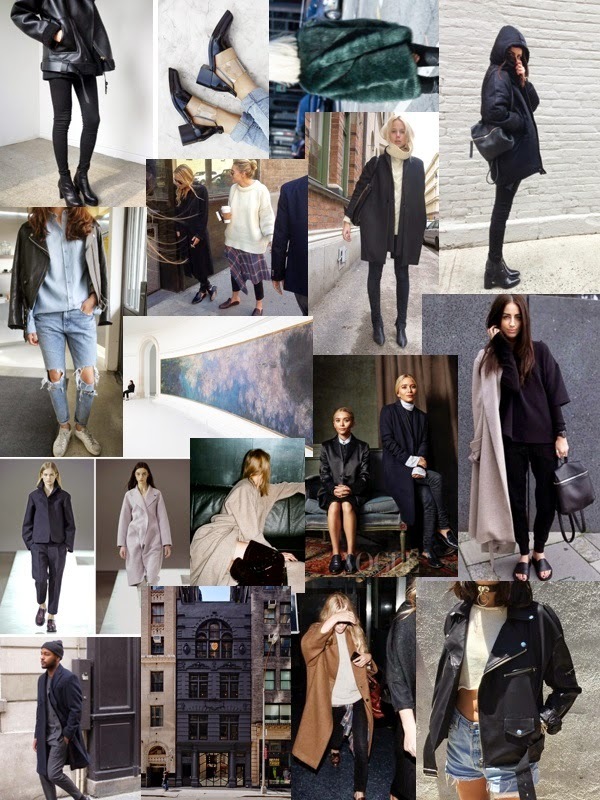 AW14 Moodboard... aka a LOT of black clothing and leather. If you're thinking 'umm excuse me its still August', well yes, you'd be correct but if I have to wear a jumper/jeans combo every time I go out with an umbrella permanently fixed to my hand then I'm allowed to make a winter clothing mood board. Majority of these images have just been selected from my tumblr so sorry about the lack of sources. I am so excited for A/W already too! I'm making a mental wishlist and I can not wait for the shops to start getting all the pieces in! I love the picture of the Olsen twins, the plaid peeping out of the sweater looks fab. weeping over the loss of summer but this moodboard is gorgeous!